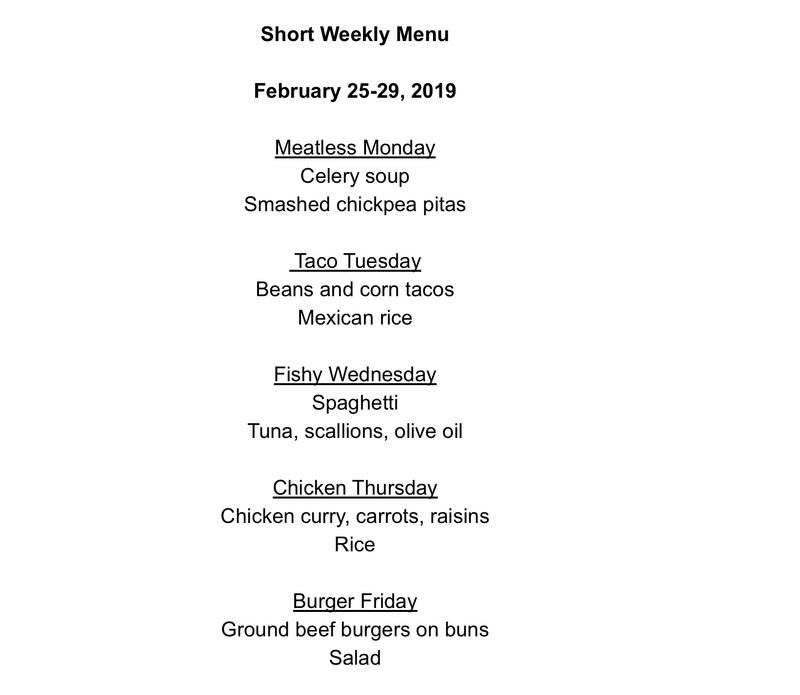 As usual we did not eat last week’s menu totally according to plan so we have the vegetarian tacos left over for this week and ended up eating the steak on Sunday. Not bad, though, we cooked almost everything we set out to do with just a slip for some takeout on Wednesday. This week coming up is a short week as we are going away for a long weekend. There should be something interesting to report foodwise from our adventures.